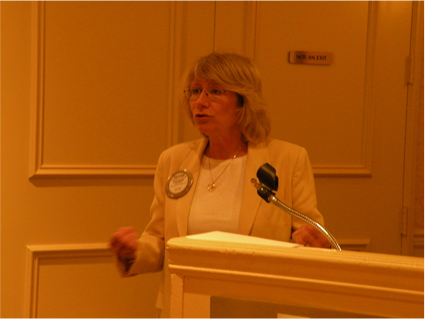 Rotary Membership - Want to become a Rotarian? 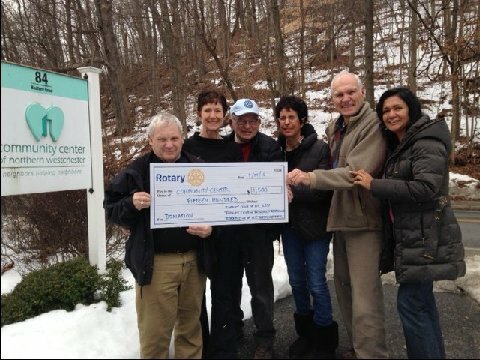 Saturday, April 22, 2017 the Mount Kisco Rotary Club, presented a check to the Mount Kisco Little League for $3,000. 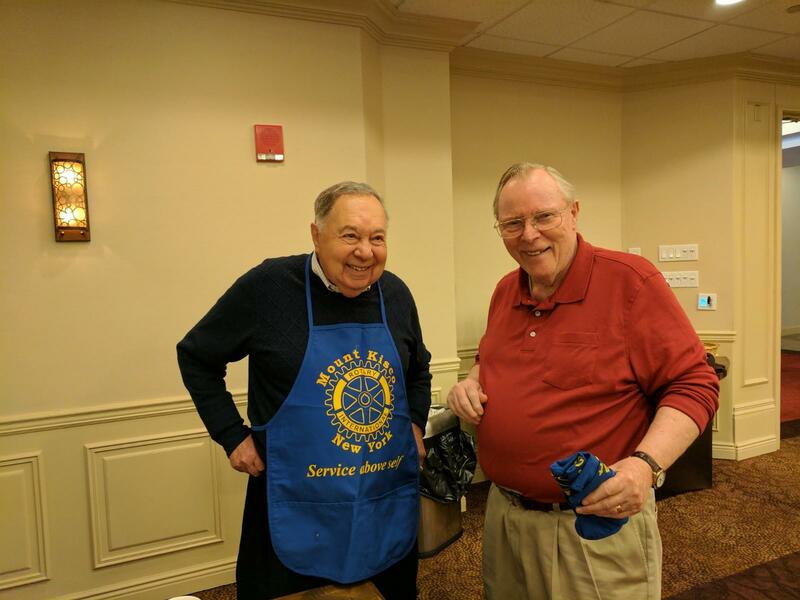 The Mount Kisco Rotary Club hosted their annual Pancake Breakfast at the Holiday Inn in Mount Kisco on Saturday March 18. 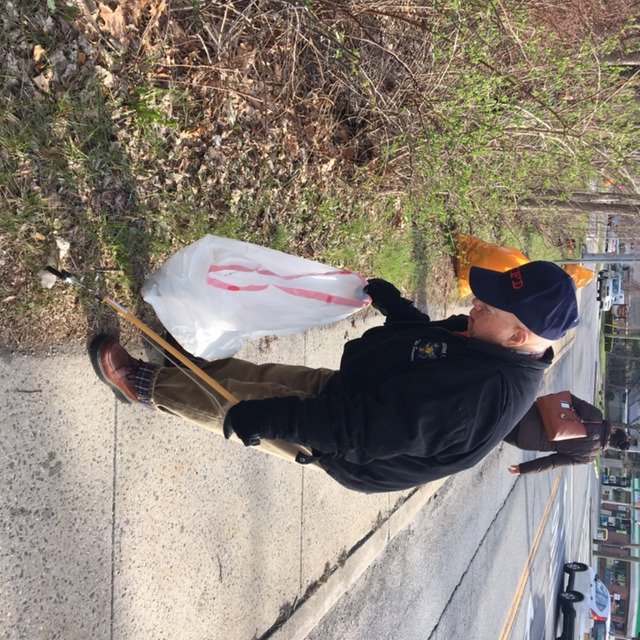 The beneficiary this year was the Mount Kisco Little League. 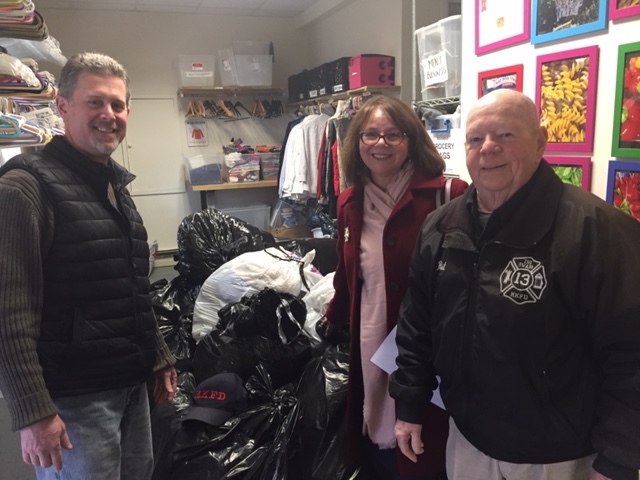 Members of the Mount Kisco Rotary Club, with the help of the Mount Kisco Little League worked the event which raised several thousand dollars for this wonderful local community organization. The Rotary was also assisted by the Holiday Inn staff. This year’s breakfast was attended by several hundred people from the community and hailed as a tremendous success. 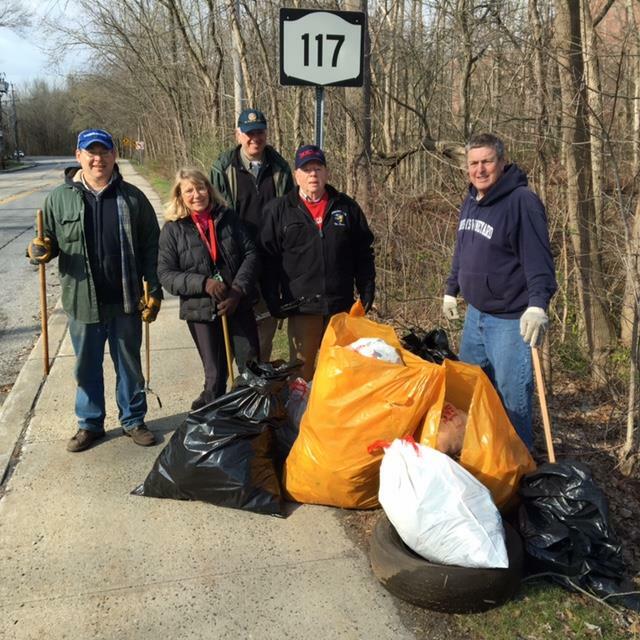 Several Rotarians came out on this beautiful Saturday afternoon in April. It was opening day for Little League, which means the Mount Kisco Rotary is also around to help kick off the baseball season. For many years the Mount Kisco Rotary Club has come out to Leonard Park to help raise funds for this local baseball organization. 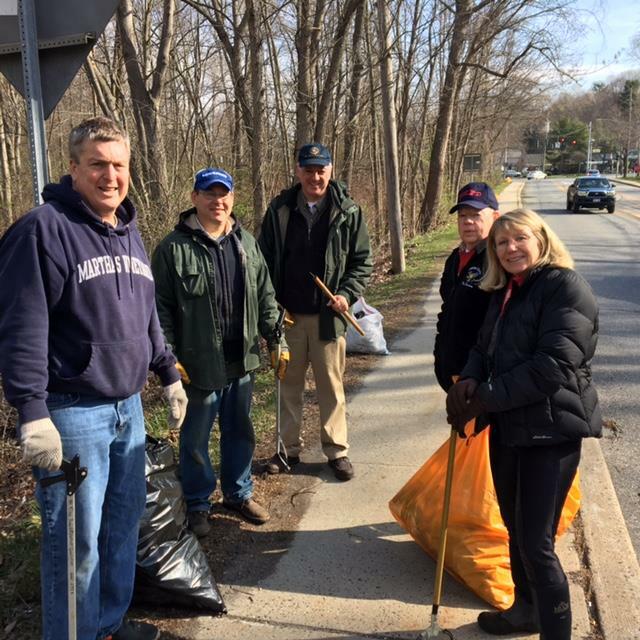 It's a great community day in Mount Kisco and the village looks forward to this day each year. The Rotary Club gives back by selling hamburgers, hotdogs, beverages and snacks. 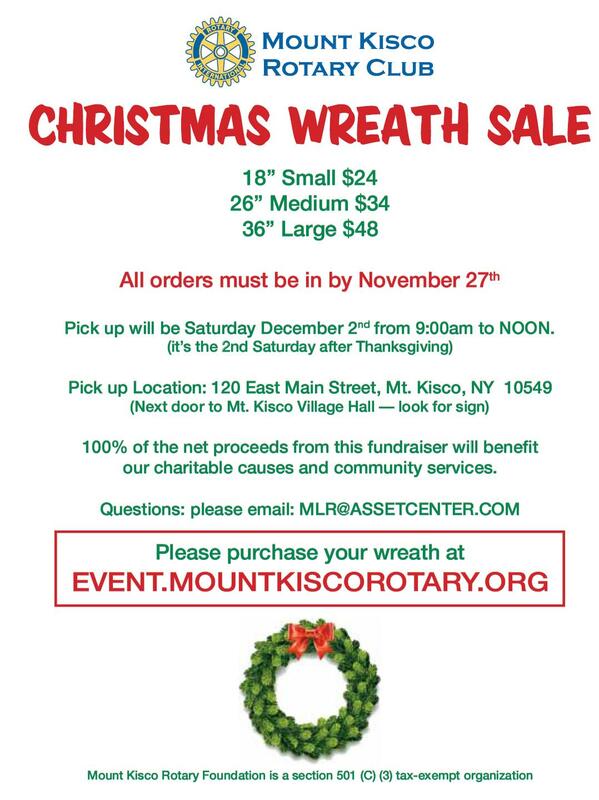 All of the proceeds raised goes towards supporting the Mount Kisco Little League Organization. 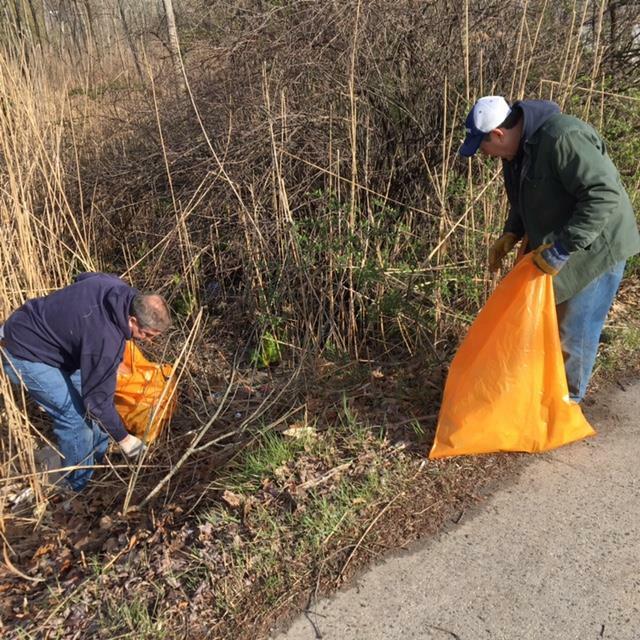 Mount Kisco Rotary Club members help clean up Mount Kisco on April 9, 2016. 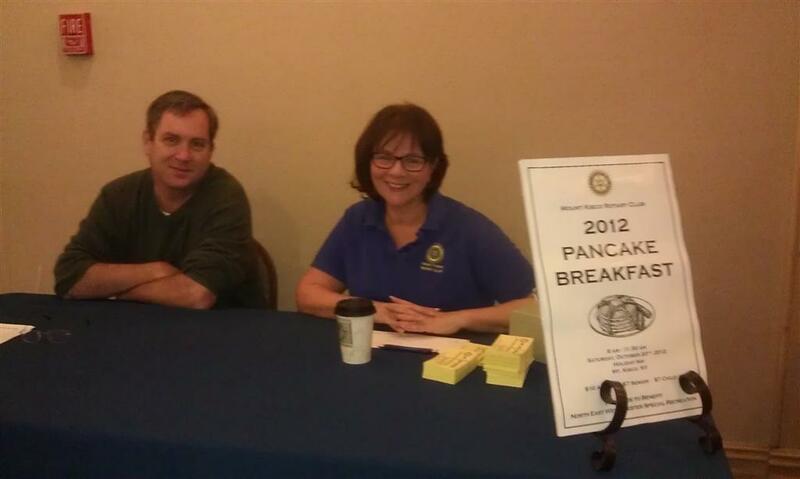 Mount Kisco Rotary had their annual pancake breakfast on Saturday October 20, 2012. 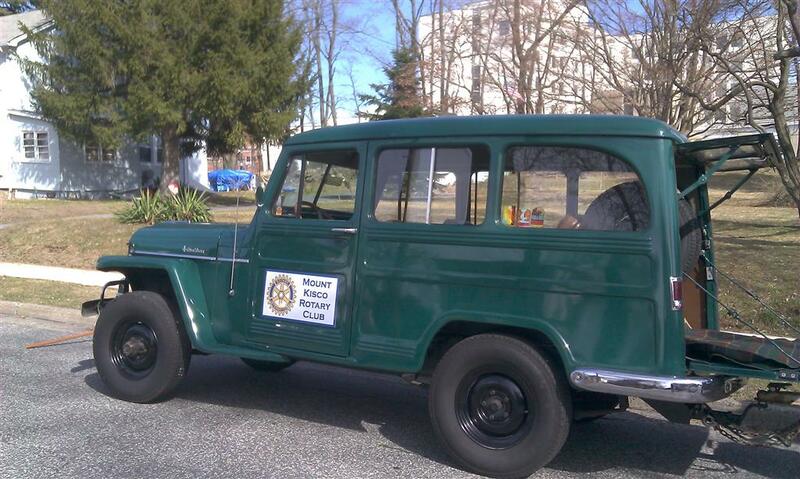 Mount Kisco Rotary rides in the St. Patricks Day Parade down Main Street and South Moger. 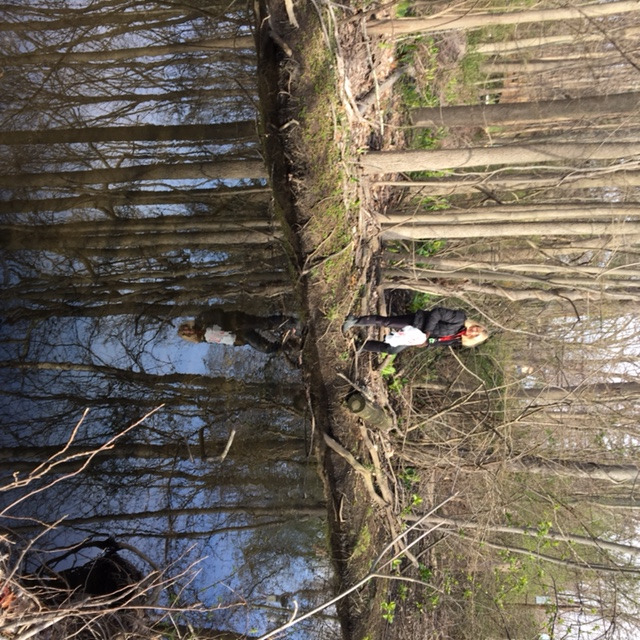 Read on for additional photo's. April 30th 2011 was opening day for the Mount Kisco Little League. 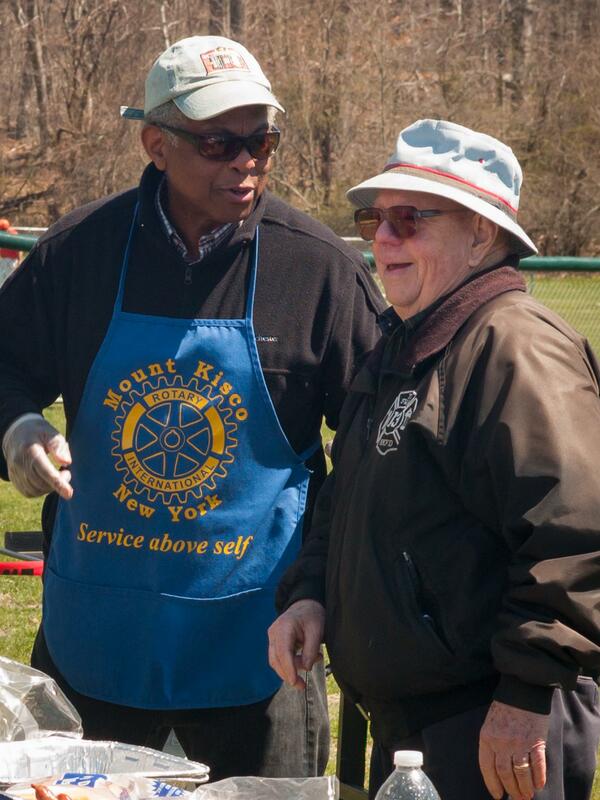 The Mount Kisco Rotary Club was on hand to sell concessions to raise money. All proceeds raised during the event will go towards funding the Little League. 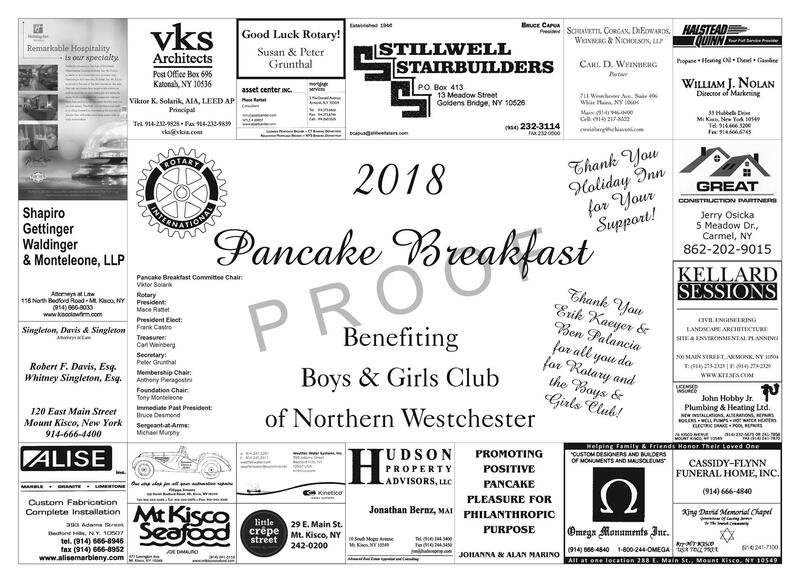 Mount Kisco Rotary board approves donation of $500 to the Boy's and Girls Club of Northern Westchester. The funds raised will be used to assist in building their new cafe entitled: Kisco Cafe. 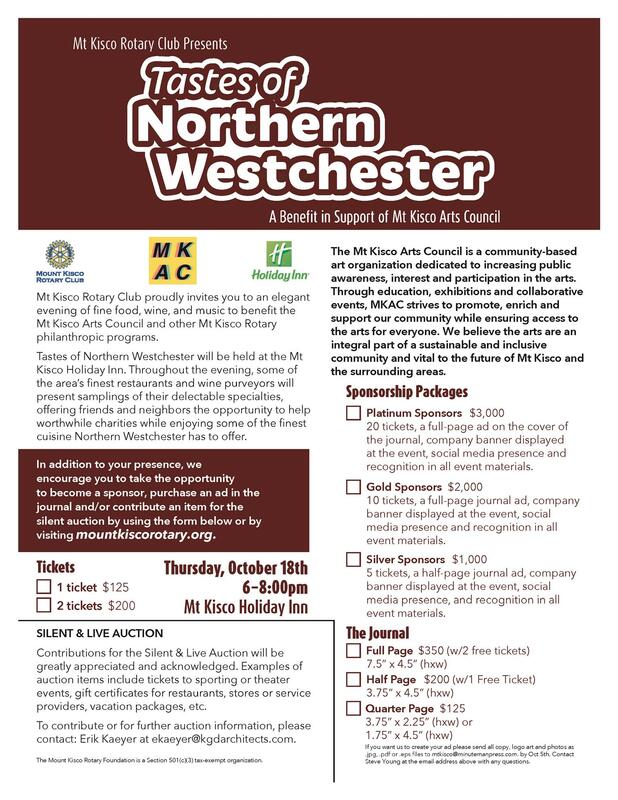 Mount Kisco Rotary Club invites you to an elegant evening of fine food, wine and music to benefit Northern Westchester Hospital. the finest cuisine Northern Westchester has to offer. 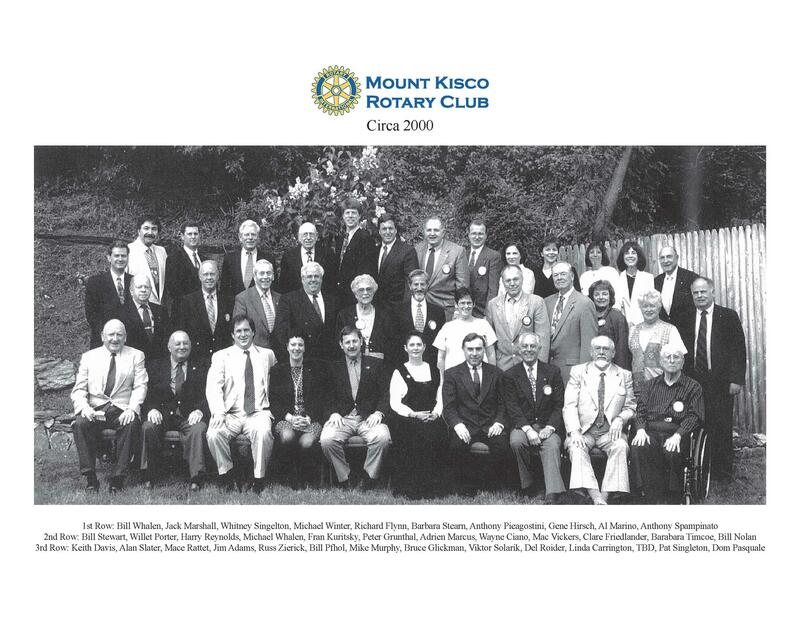 Mount Kisco Rotary was recently name the Non Profit of the Year 2014 by the Mount Kisco Chamber of Commerce. 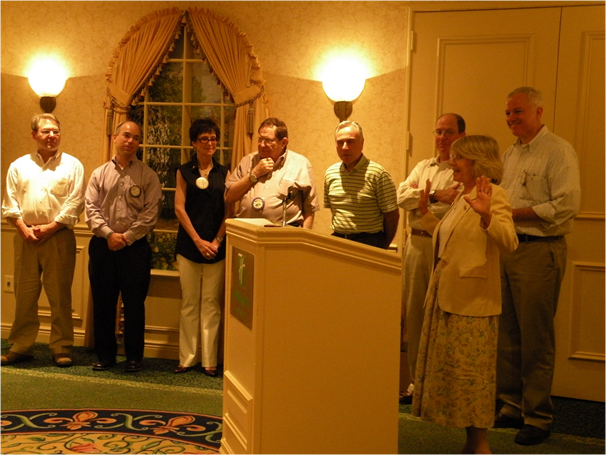 Mount Kisco Rotary inducted the new board and President today, July 2nd 2014. We wish them luck and support for the upcoming year! Congrats all! Mount Kisco Rotary - Tastes of Northern Westchester 2012 - completes 2nd Annual Fundaiser.